In this smartphone age, no adult is estranged in using smartphones and internet on the daily life. Be it for workplace or home, smartphone has been an important device to walk along. Having an internet in your smartphone is a blessing by which you can stay entertained and updated with the world outside. However, there are times when you’re out of internet and have no clue to do things, having an entertainment app is the best thing to pass your time. If adults are engaged into entertainment apps, kids too are getting into this smartphone app world. There are Android and iOS games to keep your kids entertained that can keep their mind engaged and take up the challenging task. These best apps for entertaining kids are available in both Android and iOS and are either free or paid. However, with some best free apps for kids, you’ve enough to offer your kids when they’re bored and want to engage into creative activity. 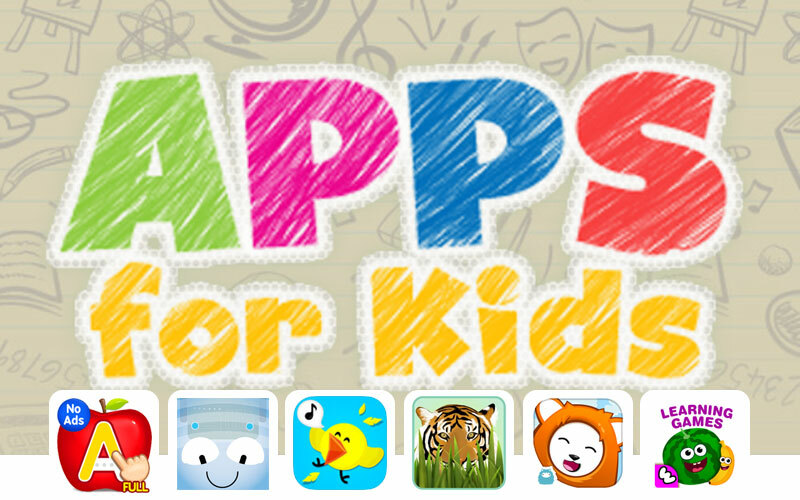 We have compiled some best apps for entertaining kids available in both Android and iOS. However, before you hand over them the smartphone make sure you set a time limit and be a vigilant on what they use. This is to avoid the addiction in smartphone games. One of the best free apps for kids, this Android based app is easy and simple helping kids to learn ABC while having fun. It includes matching games along with capital letters. The most interesting part of this app is there are plenty of animals and graphic scenes to keep your kids entertained. So isn’t that interesting to keep your kids entertained while they get educated. One of the awesome apps for kids, Bee-Bot is simple and helps toddlers to develop their mind and directional language. It has directional arrows for moving forward, backward, and other directions. There are 12 levels, encouraging kids to get faster. The app is available in iOS. Want to train your toddler in music, then Music4Kids is the best free app for kids. This is a French made app and is wonderfully designed to teach your kids about the basic musical notation for entertainment. Choose a character and then place a note after touching the staves. Whether the result is tuneless or tuneful, the app can really help in creating a tune. One of the best toddler apps in Android, the Funny Food Games for Toddlers has collections having both educational and fun. There are some matching games for helping memory and learning about foods through shapes, puzzles and logic games. There are around 17 different games that can be fun and also educative. It is quite simple and toddlers can certainly enjoy the game along with gaining knowledge. Available in both Android and iOS, Ubooly is an advanced version of Teddy Ruxpin. This iOS app game has Ubooly plush that interacts with your kids. The best thing is it can learn the names and birthday responds and communicate with kids on different lessons and games. Kids can also enter into escape problems using the iPhone and iPad. One of the best apps to keep your kids entertained, Petting Zoo is a fun game having a series of responsive character animations that can be super fun. Kids need to interact with a character available in the screen and watch them doing funny things. Kids can play crocodile teeth and play with a lion’s mane and many more things. Every game has a cute soundtrack, which is worth mentioning. There are many best apps for entertaining kids and keeping them engaged into creative things. These best toddler apps are designed to keep them entertained and also keep learning new thing right from the small age. Whether you’re using iOS or Android, these awesome apps for kids are really appreciable to make your toddler learn.